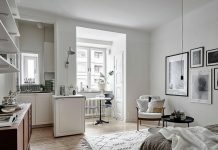 Roohome.com – Finding smart ways of modern apartment design ideas in here. Why? 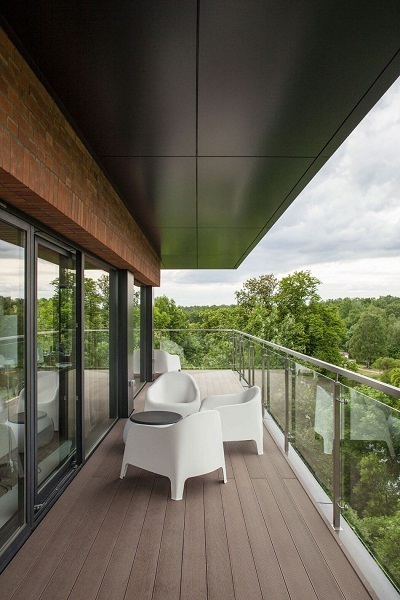 Because you will get amazing tips how to apply contemporary wooden interior features. Besides that, you will get inspiration in arranging and decorating your apartment look becomes stunning and contemporaneous. 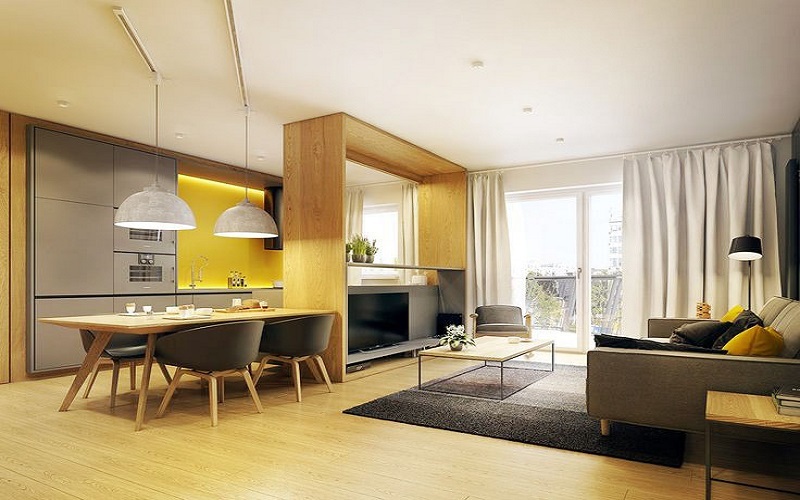 The designer has a brilliant idea in designing an apartment which is suitable for you as well. Grab your chance now, and take a look the design below. Here there are! 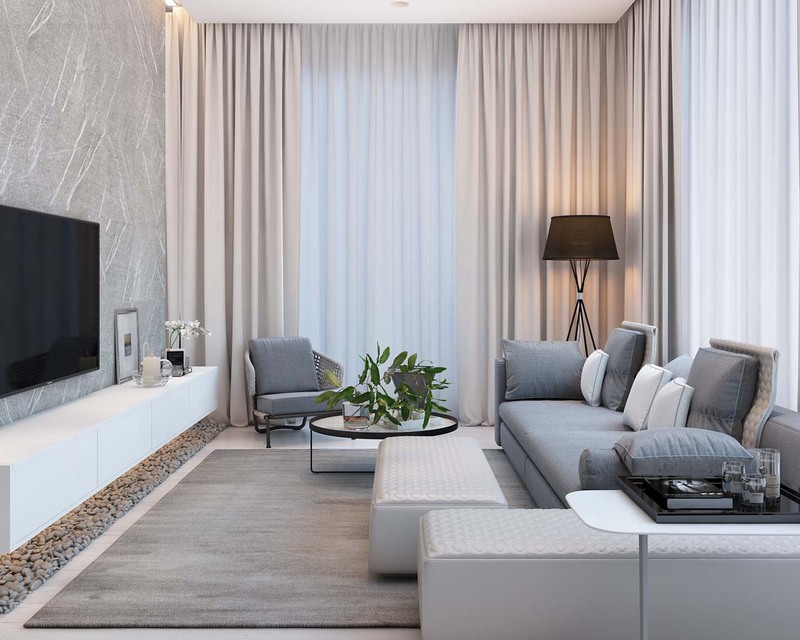 When you enter this apartment, you will see the beauty of contemporary wooden accents which cover a whole room in the main room of this apartment. 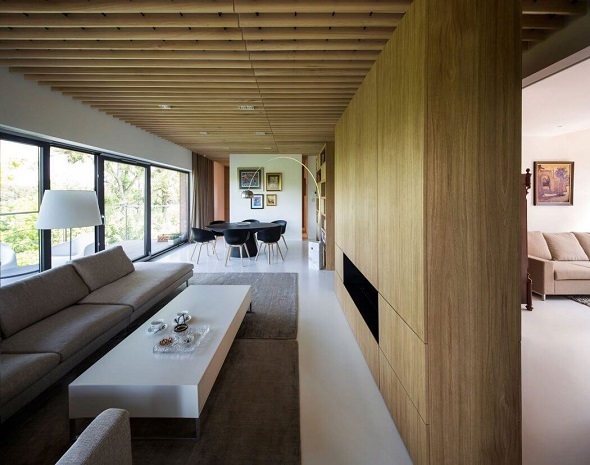 Of course, PL.architekci designs the main room or called as a living room full of the detail of wooden itself. 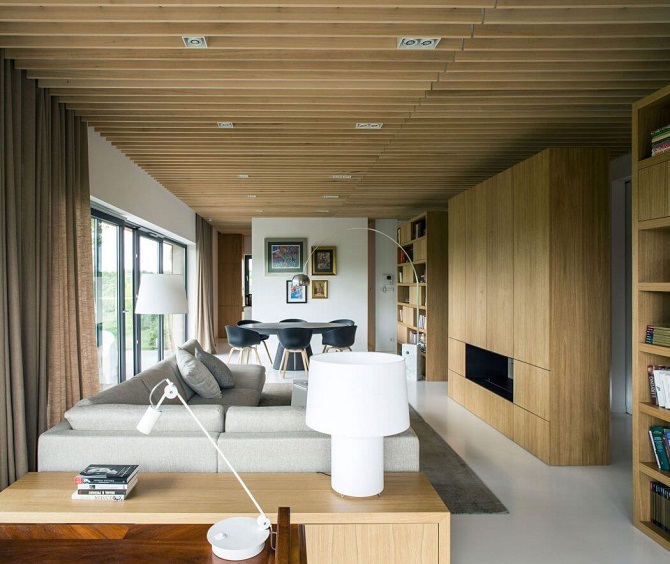 A wooden ceiling looks suitable because it can produce a warm atmosphere inside the living room. To make it balanced, the designer matches it other wooden accents such as 3 contemporaneous wooden cabinets. These 3 contemporaneous wooden cabinets are big and solid. It can be solid dividers to divide the living room into another room near it. 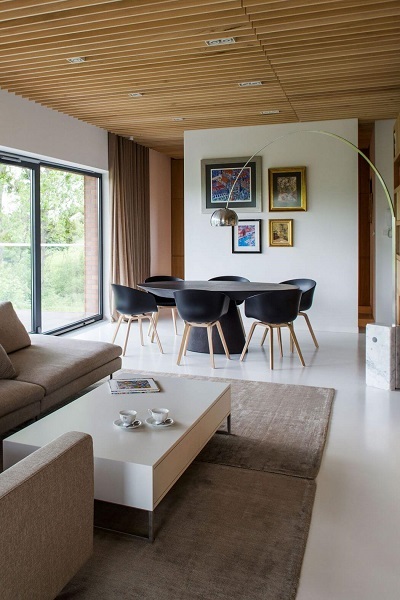 Due to the arrangement of 3 contemporaneous wooden cabinets, the living room seems like having a long shaped room. 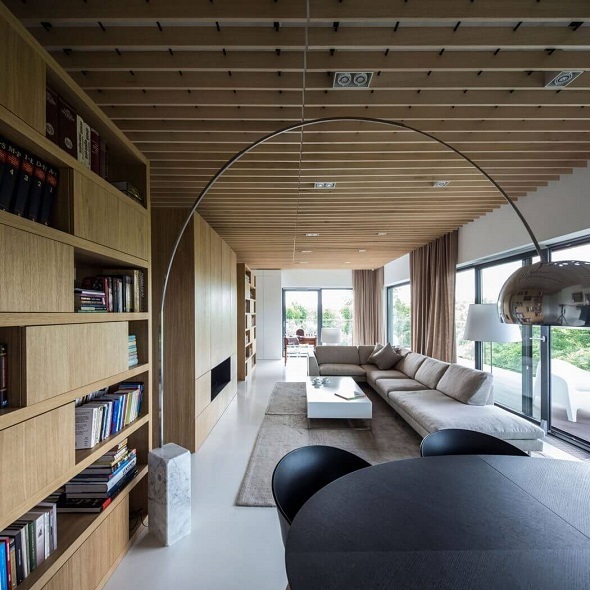 To get rid of a narrowness and darkness, PL.architekci utilizes many natural sunlights through some glass windows interior around the living room. 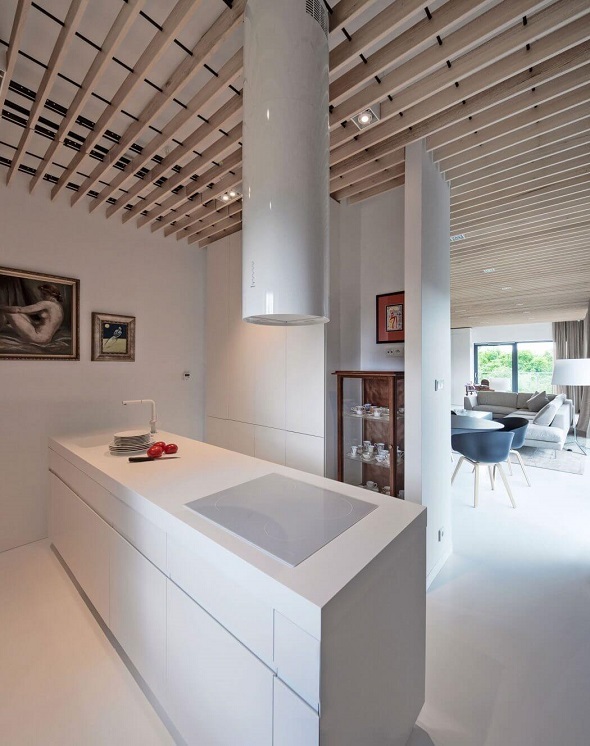 This is one of the smart ways in supporting the contemporary wooden apartment design becomes stunning and modern. For decoration, the designer does not use too many ornaments in order not to eat up the space of the living room. 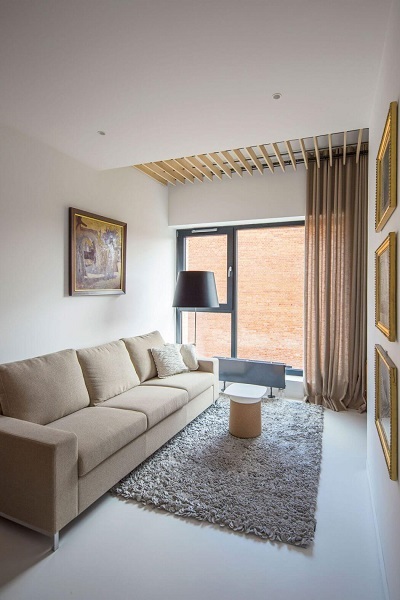 The designer wants to minimize the space by using simple interior features which suitable for a living room. Behind the living room, there is a modern kitchen appearance because it is decorated with contemporary wooden accents as well. 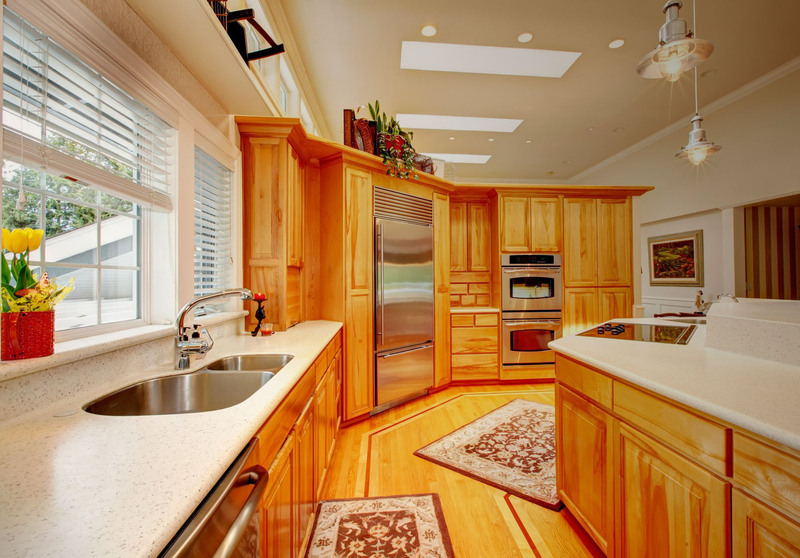 A white kitchen table is as clean as the kitchen cabinet around of it. Because of it, the kitchen looks cleaner and wider. Meanwhile, the location of the dining table is behind the kitchen. By utilizing a part of the wall near the dining table, the designer decorates it with some artistic pictures. You can follow these modern apartment design ideas in order to facilitate you in decorating your own apartment. If you want to decorate your main bedroom with contemporary wooden accents, what will you do? If you have nothing to decorate, PL.architekci shows you a cozy bedroom by combing modern interior apartment design with contemporary wooden architecture in it. The interior has modern features which suitable to be combined with its wooden. In this bedroom, the designer uses a simple bedstead and other ornaments to generate modern appearance. 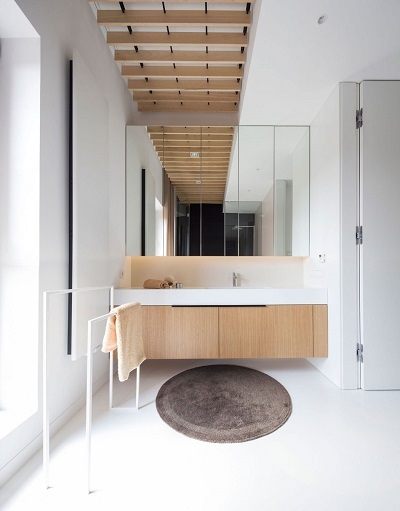 Meanwhile, the bathroom looks more modern and stunning because of the combination of contemporary wooden accents with modern glass interior features. PL.architekci does not want to create an ordinary bathroom look only but it must have any details of modern interior features in it. Following these modern apartment design ideas will not make you confused. 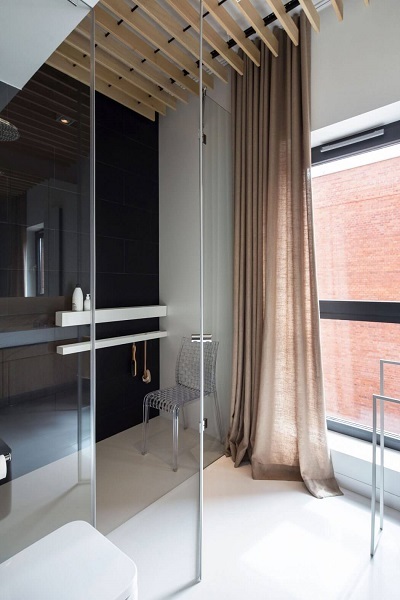 Because PL.architekci has given you smart ways in decorating your own apartment. 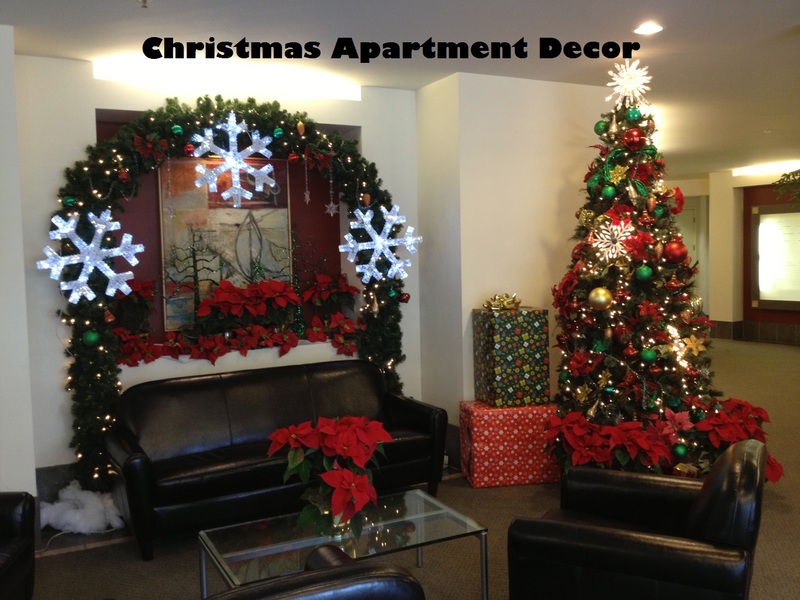 If you want to see other apartment design ideas and tips, just visit and check here. Have a nice day!